The proceedings against Lula, led by Moro, were accelerated and marked by deep irregularities and lack of evidence. Lula is accused, by Moro, of having received a luxury beachside apartment, a “triplex,” from the Odebrecht construction company in exchange for giving them Petrobras contracts, despite the apartment not being in Lula’s name. In July 2017, Moro convicted Lula of money laundering and sentenced him to nine years in prison. In January 2018, the ruling was appealed by Lula’s legal team, but the Regional Federal Court not only held up Moro’s ruling but increased the sentence to twelve years. On April 4, 2018, the Supreme Court of Brazil rejected the petition presented by Lula’s legal team for habeas corpus, which would have allowed him to continue the appeals process in freedom. The following day, judge Sergio Moro ordered an arrest warrant for Lula, giving him one day to turn himself in to Federal Police. On Friday April 6, Lula presented himself to the Federal Police Headquarters in Curitiba and began to serve his twelve-year sentence where he remains today. The appointment of Moro as minister of justice is seen by many as an obvious reward from Bolsonaro for both pulling Lula out of the race, who polled much higher than Bolsonaro, and fostering the anti-PT campaign, which was a crucial part of Bolsonaro’s victory. “The reality is that the next minister of justice is the person who helped Bolsonaro win the elections. He impeded Lula from becoming a candidate. The Public Prosecutor’s Office entered the playing field to have a stake in political debate. 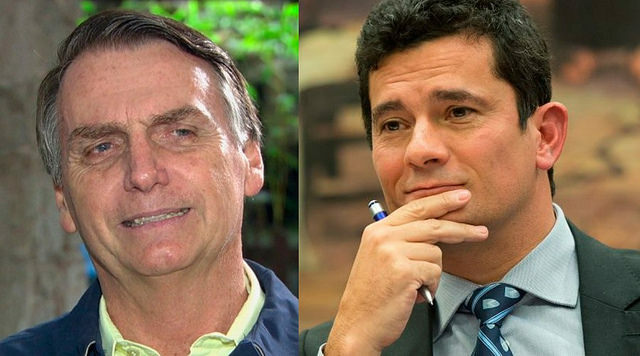 Moro helped Bolsonaro win the elections,” stated the National President of the PT Gleisi Hoffmann. She also stated that the nomination of Moro confirms the political nature of the legal crusade or “lawfare” against Lula. Bolsonaro’s proposal is that Moro also have the responsibility of Public Safety which would mean that he would command the Federal Police. Only five days have passed since Bolsonaro was elected, and presidency is already proving to be as divisive and dangerous as expected. One of the worrying threats made by Bolsonaro during his campaign was that he wants to categorize peoples’ movements like the Landless Rural Workers’ Movement (MST) and the Homeless Workers’ Movement (MTST) as terrorist organizations and openly encouraged people to engage in violence against their members. Since Sunday, several MST camps have already suffered violent attacks and threats of eviction. On Tuesday October 30, the Comuna Irma Dorothy camp of the MST in the Ceará state was set on fire. One hundred and fifty families live at the camp. The Quilombo Campo Grande of the MST in Minas Gerais denounced last week that they are under threat of eviction due to a legal conspiracy between big landowners and regional politicians who respond to agribusiness and the ruralist group’s interests. The camp has been struggling for 20 years and currently is home to 450 families who produce and live on the land (click here to support the Quilombo camp).